Australian Topaz is a rare gem. Down to earth or bright and breezy, depending on application. 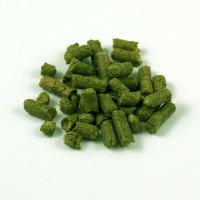 Dry hopping with AU Topaz results in resinous, grassy flavors. With later additions and in higher gravity brews, Topaz's true flavor qualities really begin to shine with more pronounced, pleasant, light tropical fruit (some say lychee) flavors. 1 oz.